Over the last few days, the usually quiet U.S. Air Force chief of staff, General Norton Schwartz, made some surprising - and revealing - remarks about possible American military actions against Iran. The general's remarks come at a time when the senior American military officer, chairman of the Joint Chiefs of Staff Army General Martin Dempsey, appeared to be warning Israel not to take independent military action against Iran. In a Senate committee meeting, General Dempsey denied that he advised Israel against an attack on Iran's nuclear facilities. It's semantics - his words, "A strike at this time would be destabilizing and wouldn’t achieve their long-term objectives. I wouldn’t suggest, sitting here today, that we’ve persuaded them that our view is the correct view and that they are acting in an ill-advised fashion." 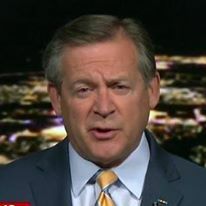 When the senior officer of the armed forces of the United States of America tells someone that their actions are "ill-advised" and will not "achieve your long-term objectives," he is advising them against taking action. General Dempsey also revealed that he discussed the Obama Administration's concept - which I assume comes from the politicized and overly cautious U.S. intelligence community - of "the issue of time," which is part and parcel of the White House construct of "time and space" when describing the Iranian nuclear weapons program. Oh, there I go again, calling it a nuclear weapons program. The White House and intelligence community call it only the "Iranian nuclear program." The only people who fail to admit that Iran is developing a nuclear weapon are the usual apologists for Iran at the State Department. The "time and space" analysis posits that the Iranians are far from the actual development of a nuclear weapon. It also draws a distinction between having the capability to develop a nuclear weapon and the actual construction of a device. In a rather startling statement for this Administration, Secretary of State Hillary Clinton seemed to claim that the Administration regards the capability to develop a weapon as the same as possessing a weapon (see my earlier article, Secretary Clinton, where are the "crippling" sanctions on Iran?). As to how accurate the time argument is remains to be seen, but this is one in which we need to err on the side of caution rather than giving the benefit of the doubt to the Islamic fundamentalist regime in Tehran. You will remember General Dempsey for his earlier description of Iran as a "rational actor" - General Dempsey was excoriated for that characterization. He defended his description by saying, "We can’t afford to underestimate our potential adversaries by writing them off as irrational." General Dempsey is absolutely right - in their own world, they are extremely rational. Understanding the Iranian regime is not difficult - they have spelled out what their goals and intentions are. Acquisition of a nuclear weapons capability fits their plans quite handily. They will take whatever actions are necessary to achieve that goal. It is starkly rational. The Obama Administration, in the form of Secretary Clinton, has said - only recently, it is a campaign season after all - that it will not allow Iran to develop a nuclear weapon. Of course, saying it and enforcing it are two different things. Secretary of Defense Leon Panetta and General Dempsey have both claimed that an American military option remains on the table. In that vein, it was heartening to hear General Schwartz talk about U.S. Air Force planning and munitions developments. The Air Force chief confirmed that his officers have prepared military options to strike Iran's nuclear facilities. The remarks come just before the scheduled visit of Israeli Prime Minister Benjamin Netanyahu to Washington. Press reports claim that some of the American plans include providing aerial refueling for Israeli planes and attacking the Islamic Revolutionary Guard Corps, Iranian military bases, and the Ministry of Intelligence and Security. The most likely venue for the refueling of Israeli fighter jets - all of which are compatible with U.S. Air Force tankers - is over Iraq. Iraq has no air defenses and no air forces capable of preventing Israeli and American operations over the country. 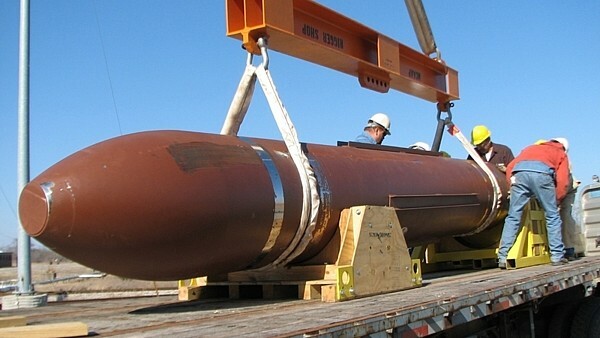 There are also stories in media - possibly released at this opportune moment - that the U.S. Air Force's new and huge "bunker buster" bombs (see photo) could take out Iran's hardened nuclear facilities. In General Schwartz's words, "You wouldn't want to be in the area." General Schwartz's comments refer to recent reporting of the development and testing of the GBU-57A/B massive ordnance penetrator (MOP), the latest iteration of Air Force "bunker busters." The GBU-57A/B is a 30,000 pound bomb capable of penetrating up to 60 feet of concrete. Each of the U.S. Air Force's B-2 bombers can carry two of these massive weapons. It would appear that - as you would hope - the Air Force is preparing for possible military operations in Iran. At least we are contemplating action to back up the usually empty rhetoric. This is why we have an air force.